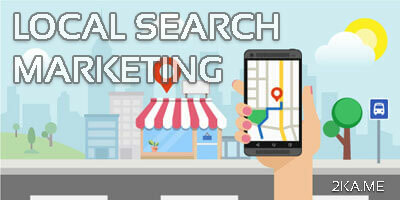 When applying Local SEO there are a few tips that will help you reach the top position in major search engines. All though this may seem like a no brainer, the first step to making sure you are optimizing your website locally as well as globally is making sure you have your businesses contact information on your website. Try to include your city or region as a keyword as well as writing content that is specific to your local area on your businesses website. Lets say your business is based in Baltimore, Maryland (MD). You would want to the location listed on your website for local targeting. Another major factors of Local SEO is making sure you have a consistent NAP (name, address, and phone) for your business all around the web. This includes your website and on any directory your business is listed on. You should also make sure you have a business page for major search engine like Google and Bing. Both Google and Bing have a business page that can help you optimize your website online. All you need to do is claim your business. Then you can manage these listing and add any information ranging from your operation hours to the services you provide. You can also, list or claim your business listing in directories. To claim or list your business in directories you need your business information. They will then ask you to verify your business either though phone, email, or mail verification. One crucial step to optimizing your business listing is correctly categorizing your business. Most directories and local engines will allow you to place your business into 3 categories or more. Keep in mind that the category you choose should be directly linked to what your business does or offers or search engines with not show your business as a priority listing. Sometimes you might find that your business is already listed in a directory or on a search engine, but is not verified. Do not be alarmed. All you need to do is claim your business. You can also make your business stand out by uploading quality photos with detail and hours of operations as well as a list of all the services you provide. Local customers find these photos useful. It is advisable to post photos of your actual building and your products. Furthermore, emphasize on having online reviews since google uses reviews to rank businesses on the new carousel design. The reviews are also meant for the google users who will see your company on its search engine. It is also appropriate to put a button on your webpage so that visitors can leave a review once they have purchased or visited a particular page. These are a few techniques that will help improve your local online presence making your business website more visible. This may seem like a lot to do. To help you keep your focus on your business and take the worry out of developing your website locally, I am a digital marketing consultant located in Maryland offering a wide range of Local SEO packages. This way you can keep concentrating on your business while I widen your local existence for you. For more detailed information on our plans check out our Local SEO packages. PreviousPrevious post:Benefits of Local SEO for BusinessesNextNext post:What is Local SEO?